Because furniture makeovers and repurposes are so popular, I am sharing this roundup of some of the best ideas in a rustic chic style. You will find updates on chairs, dressers, coffee tables, desks and bookcases. Some of these have been made over and others have been repurposed from unusual materials. All of them are unique. Here are some of the best furniture makeovers and repurposes. All of these ideas are super creative and stylish. So, try one of these ideas on your own piece of furniture and enjoy the results! A new look extends the life of most furniture. 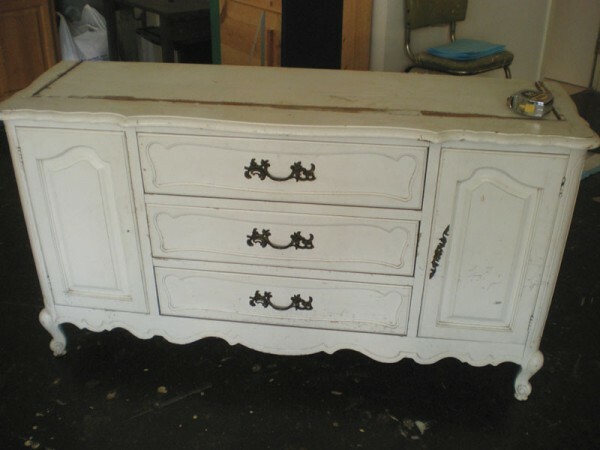 One of the most popular pieces of furniture to makeover seems to be the dresser. Whether you have one just waiting to be updated or you are inspired to pick one up at a thrift store, the ideas that you see will definitely get you motivated to start the project. This dresser makeover is one of my favorites. Since it uses salvaged wood in the design, it has a more rustic style. 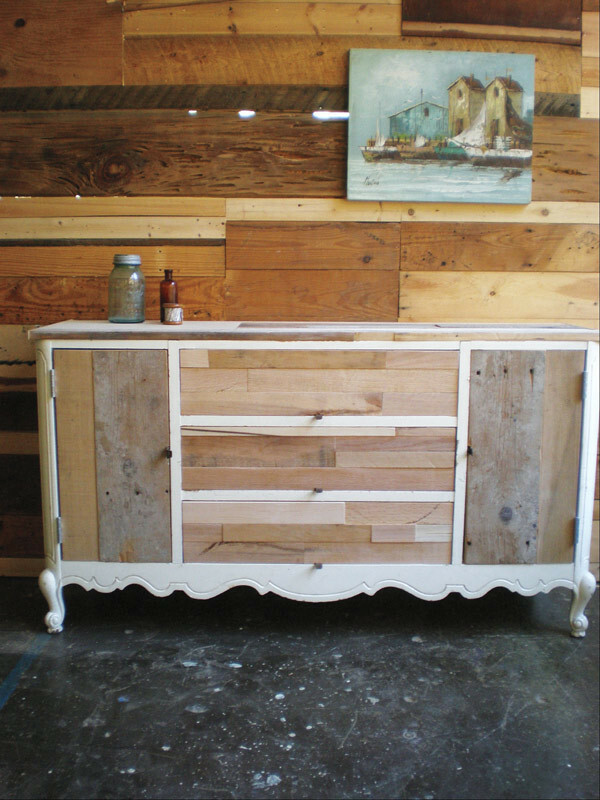 See this one and nine other great ideas at my post Rustic/Shabby Chic Dresser Makeovers. The next most popular furniture makeover is chairs. Both wooden and upholstered chairs are frequently updated and there are a large variety of ideas to inspire you. With all of the updates, there is such a remarkable change on this chair! It’s amazing what a little paint and fabric can do! It looks nothing like the before picture. 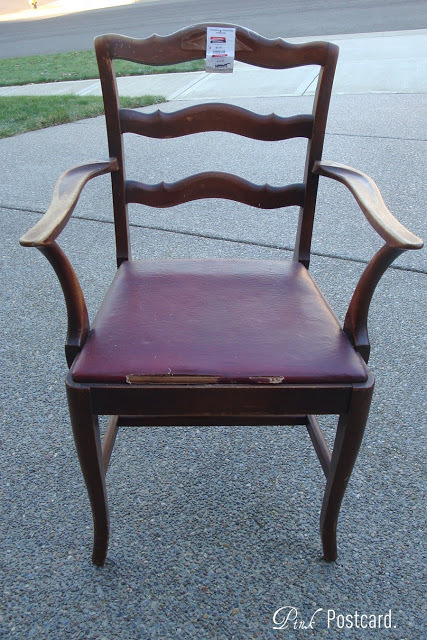 See this and five other wooden chair makeovers at Chic Chair Makeovers. 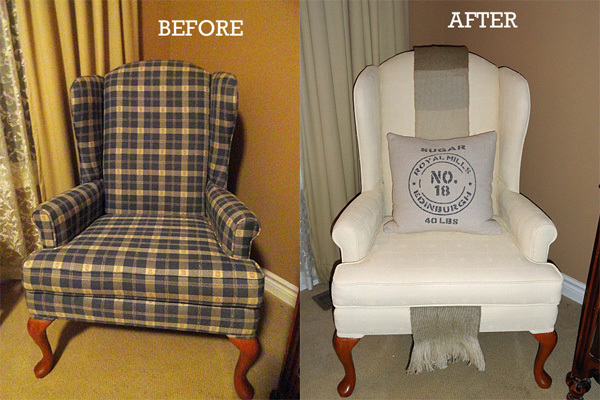 You can also makeover an upholstered chair without re-upholstering it. 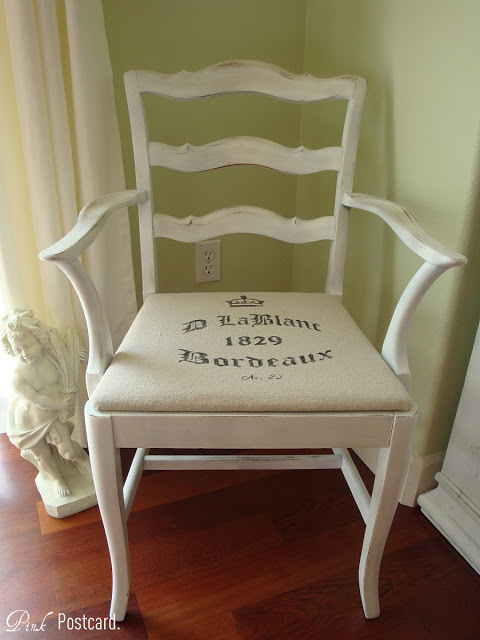 See how I updated my wing back chair with paint. Although painting changes the texture of a chair, it is still comfortable enough for sitting. The new look definitely extends the life of this old chair. You can find the tutorial at How To Paint An Upholstered Chair. Coffee tables can be made from almost anything. You may be surprised at how inexpensive these ideas are. Because of the materials used, they are practically free. 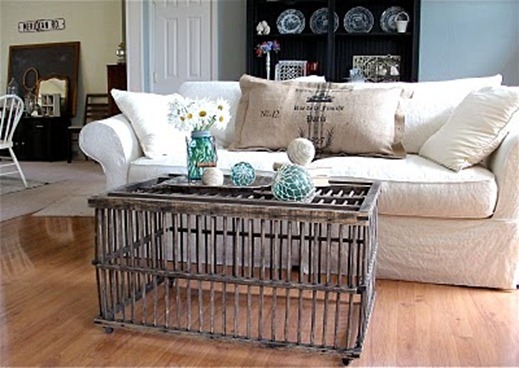 For example, this coffee table is actually made from an old chicken crate! I love the rustic look of this one. Check out some of the other unique ideas at Unique Coffee Tables From Vintage Finds. 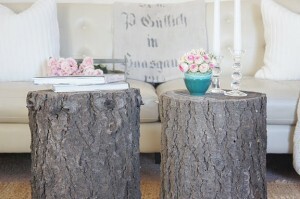 And, these wooden stump coffee table are a part of a collection from my post Rustic Coffee Table You Can Make. It doesn’t take much to create an interesting and unique coffee table. Bookcases and shelves are an important furnishing for the home. 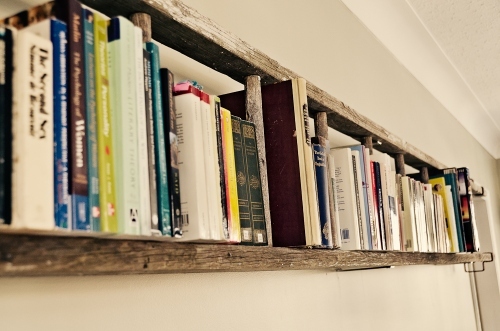 An old ladder works well for shelving. There are so many other unique ideas. If you are looking for some unique and affordable ideas, check out my post on bookcases and shelves. 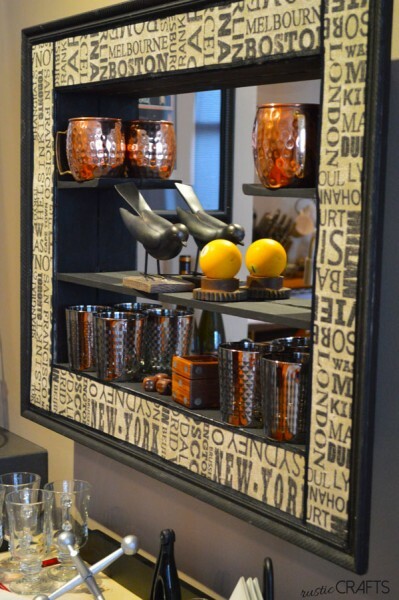 This barware shelving unit is upcycled from a vintage curio shelf. Because of the updated framing, it fits in with the rest of the decor. Do you have any furniture makeovers or unique repurposing ideas? Since I would love to hear about them, share your ideas below in the comments.